President Obama of America raised the issue of the Hague Convention with regards to the Civil Aspects of International Child Abduction with Prime Minister Noda of Japan. The issue is clearly delicate in Japan and domestic law also infringes on the rights of Japanese nationals when it comes to joint custody. Domestic law in Japan and the Hague Convention may be separate issues but enforcement and other areas overlap despite the situation being very different. Therefore, if Prime Minister Noda is serious about implementing the Hague Convention which relates to Civil Aspects of International Child Abduction, a complete overhaul of the justice system will need reforming in family law and issues related to joint custody in Japan. It surely would be strange if Japan abided by enforcing the Hague Convention without enabling the enforcement of domestic laws related to joint custody and other aspects. Also, it is clear that Prime Minister Noda is still learning the ropes and only time will tell if Japan is really serious about implementing reforms and allowing loving parents to see their missing child or children. In saying this, it is clear that international pressure is mounting on Japan about this issue and the DPJ is more open-minded. If Japan does start to recognize international law and court orders related to child abduction then clearly this will bring music to the ears of many parents, grandparents and other relatives and friends, who have also suffered great anxiety. President Obama also highlighted existing abduction cases and how these needed to be resolved. This is very important because it is feared that these cases would be in limbo but according to the sensitive conversation between both leaders then it would appear that existing cases will also be prioritized. It must be stated that the Democratic Party of Japan (DPJ) appears to be much more serious about this issue than past Liberal Democratic Party governments. 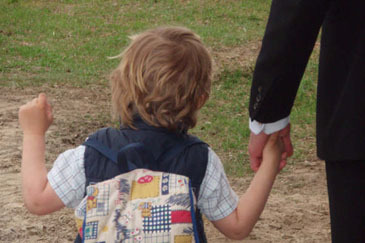 The Hague Convention and the Civil Aspects of International Child Abduction is one of many different areas in Japan which relates to parental alienation. After all, Japanese left-behind parents are also victims and some foreign nationals will have got married in Japan. Therefore, issues related to equality in the internal legal system are a major issue. This applies to the bias towards Japanese nationals in domestic courts and parental alienation in cases involving family courts irrespective of the ethnic background of the individual. . However, it is heartening for parents, grandparents, and other relatives, that light is starting to flicker in a cave which was so dark for many decades. President Obama also must be praised for taking this bold step and highlighting the need to solve existing cases. It is clear that both America and Japan will have vetted each other before talks began between both nations who have friendly relations and strong bonds. Also, from the DPJ’s point of view they may have desired President Obama to have raised this issue because President Obama’s thinking carries a lot of weight in Japan. Therefore, without any cross-party support to implement legal reforms in Japan the statement by Obama will carry a lot of importance. Obviously, for the vast majority of left behind parents they may be either surprised or angry by President Obama praising “Japan’s efforts to join the Hague Convention on the Civil Aspects of International Child Abduction” which was reported by the Asahi Shimbun. However, the DPJ, unlike the LDP, does appear to have moved dramatically in the right direction, even if “the extra mile” is still not seen because implementation will take time until domestic laws are put into place. Also, pressure will be put on the DPJ to implement some safety measures from the Japanese point of view. Despite this, the current government in Japan is much more open to change than prior LDP governments which either turned a blind eye or just dragged their feet by leaving it to the next administration but without any real conviction to change anything. Therefore, while the vast majority of parents will be at a loss by President Obama speaking positively about “Japan’s efforts” this must be viewed by past governments in Japan who did little to nothing about this very important and tragic situation. Obviously, many obstacles are still in the way and the road remains to be long but some hope is being seen at the end of the tunnel. However, until real change is implemented and images of children are seen with parents who have been disenfranchised and abandoned by a brutal system, then doubts will always remain about sincerity. It is essential that individuals and pressure groups keep on demanding their rights and building a positive network with senior politicians and important agencies which have influence. I am the Tokyo Correspondent of The Seoul Times and I have been honoured in recent months by many left behind parents. All these left behind parents are victims because of the Japanese political and legal system which is allowing child abduction, parental alienation, cultural alienation, religious alienation, and linguistic alienation. This article highlights the personal pain and sorrow of Randy Collins and it is “a real story and tragedy” that could happen to anyone because of the Japanese political and legal system. Before reading, just close your eyes and think how you would feel if the most precious thing in your life was taken away from you. How would you cope? How would you keep on fighting? The pain and anguish is “soul destroying” and sadly national governments are not doing enough to challenge Japan. I firmly believe that a central organization like The Children’s Rights Council of Japan needs greater financial and political support in order to end this injustice. Also, it is vital that the mass media gets involved because this crisis will continue to grow. This article by Randy Collins is very emotional because every day he knows that parental alienation is happening and remember the other victims in all these tragedies. After all, many grandparents may never see their grandchildren again? My name is Randy Collins. On June 16, 2008, my world came crashing down. Unfortunately my story is not a rare one. It has happened to thousands of children and will continue to happen until Japan decides to get with the rest of the free world in the 21st century by signing the Hague Treaty and returning the illegally abducted children it has sanctioned the abductions of. Reiko Nakata Greenberg Collins, a Japanese citizen who had lived in the United States for 25 years at that time, and I were married on September 1, 2001. She had a daughter from a previous marriage to another American. We made sure her daughter was in one of the best private schools in the state. She was a very bright and fun girl to watch grow up. Even though she was not my biological daughter, I still considered her my daughter. On March 3, 2003 we had a baby boy, Keisuke Christian Collins. During the entire pregnancy she slept in another room. I was naïve and thought this must be a cultural thing. Months turned in to years, and in March of 2008 my wife of 7 ½ years and I were beginning the process of a divorce. She was still sleeping in the same bed as our son till the day I moved out of our home. She slept in another bedroom and in the same bed as my son for 6 of our 7 ½ years of marriage. I later found out from her previous husband she had done the same thing with him, which led him to file for divorce from her. I moved out of our house in late March and moved in to a house a few miles away. After telling me for a few months her parents were going to pay off the house and she was going to live in it, she said she wasn’t going to stay in the house after all. When I asked where she was moving to, she would never tell me. In the beginning of June she finally said she was moving to an apartment in a neighboring city. Had I thought it through, I would have noticed that the monthly payment on the apartment was going to be much more than the payment on our house. It also would have taken her daughter out of the school district she was attending. This was only a decoy as she had already made the plans to flee the country. Being concerned for my son’s safety, and after I learned of numerous news stories’ related to Japan’s permissive acceptance of international child abductions, I obtained a Superior Court order on June 13, 2008 in which Reiko was to turn over my son’s passport to the Japanese Consulate and neither of us was to remove our son from Orange County, California. I immediately notified the Japanese Consulate in Los Angeles on June 13th after the court verdict. The exact words I got from them when I told them of the courts ruling were “We don’t care”. When I made mention that I had concerns for my son’s safety from being abducted, he said “They are Japanese citizen and are free to go where they want”. I told him my son was born here in the United States, not in Japan. The last day I saw or heard Keisuke’s voice was Father’s Day on June 15, 2008. We had spent the day together. He wanted to go to my church and see Pastor John. We had lunch, and went to his favorite place, The Discovery Science Center. He loved dinosaurs and the Discovery Center had a fun interactive dinosaur’s exhibit. A couple hours after dropping Keisuke at his mother’s, Reiko called to ask me if Keisuke was feeling alright during the day. I had told her yes. She said that Keisuke was now vomiting. Since my next day of custody was the next evening for dinner, I said let’s see how he feels tomorrow. Little did I know she was finalizing her plot she had been putting in place for a very long time. My attorney advised me I needed to get in to the house to see what was happening. I am still the owner of the house and went through a door I knew was always open. When I did, I found that all of their clothes were gone. The cats and dogs were gone as well. It was learned later in the investigation that Reiko had made that call to me on June 16th from Seattle Airport. She had fled earlier that morning from the Los Angeles International Airport to Seattle and then off to Narita, Japan, to live with her parents Ken and Miyuki Nakata in Chiba, Yotsukaido. This was just 3 days after the court ruling that neither of us was to remove Keisuke from Orange County California. This was not planned in a spur of the moment. During the divorce proceedings it was learned Reiko had transferred tens of thousands of dollars from our Home Equity Line of Credit to her mother’s account for over the past year. I was working full time and going to school. Reiko was paying the bills as my time was already stretched. Little did I know that during this time she was writing checks from our Equity Line to her parents without my knowledge or consent. She also was doing this after divorce papers had been filed. This is in direct violation of our legal summons because on page 2 of our divorce summons it states that no real or personal property is to be sold, transferred, or deplinished during the course of the divorce proceeding. Her plan also entailed the knowledge of how the airline system and passport system worked. It is highly unlikely Reiko had such knowledge herself. However, her father, Ken Nakata is a retired pilot with Japan Airlines. It is highly coincidental that her parents came to live in our house from October 2007 up to only a few weeks prior to Reiko kidnapping Keisuke and fleeing to Japan. I called the local police. They informed me that all they could do was to take a report. I also contacted the FBI. All they could do was take a report. I contacted the State Department. They took a report and wrote letters to the Japanese Ministry of Foreign Affairs. Of course, the Ministry of Foreign Affairs will do nothing to bring our illegally abducted children back to their native country. Welfare and Whereabouts visits have been requested to Reiko, but she refuses to answer the requests. I have learned more about Japan’s behavior and lack of basic decency in regard to International Child Abductions than I ever thought I would or need to. 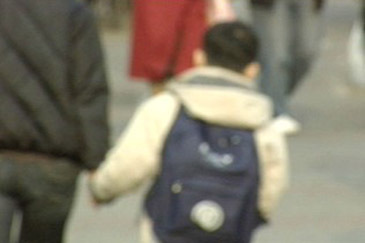 Thousands of American children have been abducted by a Japanese parent in the past ten years. Not one child has ever been returned to the United States. Japan accounts for over 22% of all international child abductions by a Non Hague country. If a child born in Japan is abducted by a foreigner, Japan is quick to take the steps to make sure that child is returned. Yet Japan does not extend the same basic decency of reciprocity it demands from other countries. In April of 2004 Reiko’s parents came for a visit. During this time she had asked me to sit down with her and her parents. Reiko had told me she had been seeing a marriage counselor and asked if I would go too. I said I absolutely would. In fact I had asked her a few times before that to see one but she refused. Being a person of divorce, I did not want my son to have to go through it too. When I asked her for the name and phone number of the counselor she would never give it to me. Once her parents went back to Japan, she dropped it all together. She had no intentions whatsoever to see a counselor with me. Had she done so, she would have had to account for her behavior. I do not claim to be the perfect husband. All marriages have their ups and downs. But I never did anything to deserve my son being taken away from me. No parent does. Our marriage didn’t work. I tried but Reiko had no interest in being a wife. All she wanted from either of her husbands was a child. We were both used by her for this reason. Once she got pregnant, her husbands were insignificant to her except for their income, as she never did or would work. Every Easter we would go to Hawaii. Twice a year she would go up to visit the couple she lived with as an exchange student. Every summer she and the kids would visit her parents in Japan for 5-8 weeks at a time. Her daughter went to one of the best private schools in the state. She also had private piano and violin lessons. If reiko ever wanted to buy something, I never stopped her. When Reiko had cancer surgery, I was there for her. I went to the hospital. I was in the waiting room for hours nervously waiting for the doctor to come out. When I had to have hernia surgery, I had to walk to the hospital because she wouldn’t wake up to drive me the half mile up the street. When I had a heart attack and had to have 3 stents put in my arteries, she didn’t even come to the hospital till I called to have her pick me up. When her daughter asked me to be a chaperone for her 8th grade field trip or she wouldn’t want to go, I took the time off work to be there for her. When my family needed me, I was always there for every one of them. I was and am a loving parent that loves my son more than anything in the world. Even when we were not getting along, I was always respectful to her and her parents, a common decency that was not reciprocated at all. I found out later she did the exact same things to her previous husband. Reiko even went so far as to break in to her previous ex husband’s house to try to steal things. The day Reiko fled to Japan, she called her only friend to tell her she was leaving the country and told her friend she could go in to our house and take whatever she wanted. Even though it was community property, the police told me I had no recourse to get any of our items back because Reiko gave her the OK to enter. Because of this, I had to completely start all over and buy things as simple as an oven mitt. Reiko took or gave away everything I/We owned. I did all the things I needed to do to protect the abduction of Keisuke. None of it worked. A child has the right to a mother and a father. 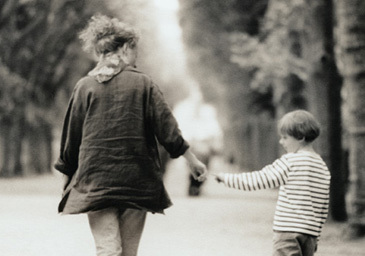 A mother and father have the right to have their child in their lives, even if the parents can no longer be together. No parent deserves this. A child is not a piece of property like a car or a home. No parent has the right to take the child away from another. It is arrogant, selfish, and criminal. Based on past history, the chance of me ever seeing my son again is very small. Keisuke has the right to have a father in his life. I have the right to see my son. The Japanese government has continued to make up one excuse after another for not signing the Hague Treaty. Here are some of the quotes some Japanese officials have made regarding the abduction issue in the past 13 years. 2006 – “More than 25 years after the Hague Convention was completed, Japan’s Ministry for Foreign Affairs says that it is still studying the document. 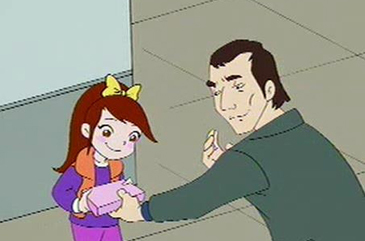 At a recent conference on child abduction held at the Canadian Embassy in Tokyo, a spokesman said the Ministry wasn’t opposed to the convention, but that “at present there is not enough support from Japanese nationals.”” Think of the Children: Japan’s prejudiced legal system encourages desperate parents to abduct their own kids; Tokyo Metropolis Magazine, January 2006. Kevin Buckland, Tokyo Metropolis Magazine, January 19, 2007. 2009 – “Japan has ratified many parts of The Hague Convention treaties over the years, but in terms of repatriation of kids, they have been claiming for 20 years now to be “studying” the issue. That’s Japan-speak for “we’re not interested in making any changes.” Japan Inches Toward Signing the Hague Treaty on Child Abductions, Terrie Lloyd, Japan Inc., April 4, 2009. These are supposedly highly intelligent men and women. How long does it take to review or study a document that has been in place for over 29 years? When is the Japanese government going to stop lying to the world and be a world citizen? The Japanese government and these abductors should be ashamed for the devastation they have caused for the loving and caring parents, as well as the cousins, aunts, uncles, and grandparents of these illegally abducted children. I did not put Reiko and Keisuke on a plane to travel to Japan and then they decided not to come home. I did not marry Reiko and have a child in Japan and then move back to the United States only to fight to have my son returned back to the United States. Reiko and I were married in the United States. She had lived in the United States for over 30 years. Keisuke was born in the United States. Reiko Nakata Greenberg Collins violated State and federal laws by abducting our son. Japan is harboring an international fugitive. If any person is going to travel to another country, that person has a responsibility to adhere to the laws of that country. If that person violates those laws and flees to another country, that country has a moral, ethical, and legal responsibility to return these criminals back to the country to face the legal system for breaking the laws they have committed If you are going to visit a country, obey the laws or stay home. This behavior of condoning and financially rewarding these abductors has been going on for decades. It is time Japan is held accountable for its behavior. It is time Japan shows it is a true “ally” of the United States and to other countries such as Canada, France, and the United Kingdom. An “Ally” doesn’t sanction, condone, and financially reward the abduction of our children. If this situation was reversed, Reiko would do everything she could to see her son. The Japanese government and its citizens would do everything in its power to get Keisuke back to Japan. I am not asking for anything different. The difference is I, and the United States, have a different moral and ethical compass than Reiko Nakata Greenberg Collins, Ken and Miyuki Nakata, and the Japanese government in dealing with international child abductions. The Japanese have always had the façade of Honor and respect. Those are just words. Actions speak much louder than words. Japan’s actions show the real truth. Any person or country that is respected or has ANY honor, does not support, condone, and financially reward the abduction of children. Only cowards kidnap helpless children. Only cowards support, condone, encourage, and financially reward the abduction of children. Hopefully the newly elected government will change the real truth of the cowards of the current and past Japanese governments and the selfish parents that continue to illegally kidnap our helpless children. PS – Since this article was first published Randy Collins, family members, and friends are still fighting tenaciously in order to bring justice to this major violation. Also, senior political leaders have met Randy Collins and I would like to acknowledge their kindness and concern; after all, this case in not just about any one individual it is about justice for thousands of left behind parents. Please check the websites provided and support Randy Collins and others who are fighting for justice, dignity, and for what is natural and right.